The Resilience of Cyber-Physical Systems (CPS) is a highly cross-discipline topic with many challenges and open issues, including how to master the complexity and heterogeneity of crucial infrastructures and of their growing cyber-physical threats. The purpose of this book is to address the most recent developments in ensuring the convergence between Cyber and Physical Security by providing integrated, holistic and cohesive approaches to CPS design, evaluation and testing in real industrial applications, including Internet of Things, Intelligent Transportation Systems, Smart-Cities and Factory 4.0. Emerging paradigms and technologies are presented from two antithetic points of view: their exposure to new threats and their potential to counteract them, hence smoothly moving from risk modelling to threat management and mitigation. Such an approach is aimed at effectively supporting the readers, including graduate students, researchers and industry practitioners, in evaluating and ensuring the resilience of CPS they are developing or analysing. Chapters must be original work not published or submitted for publication elsewhere. Revised and extended versions of published materials could be acceptable provided that they do not violate the copyright, the necessary credits are given and the required permissions granted. Due to the complexity of CPS, a comprehensive list of topics is almost impossible to sketch, and those topics are rapidly evolving or being specialized as new technologies are introduced and new threats are discovered. The complexity due to systems’ size, distribution and heterogeneity is at the same time an obstacle and a stimulating challenge for research and engineering initiatives. 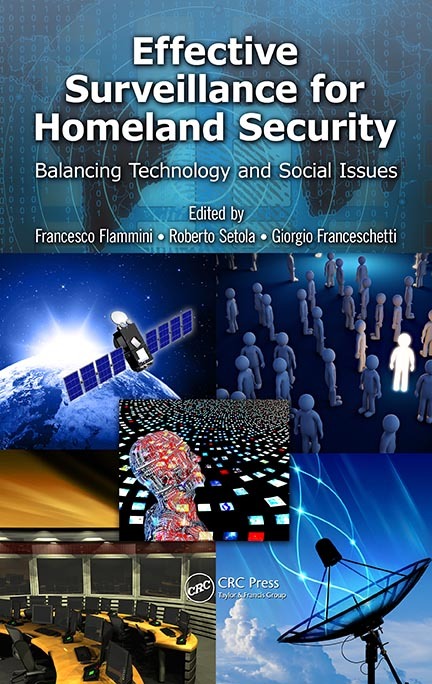 From a methodological viewpoint, many areas related to design-for-security and Model Driven Engineering (MDE) still need to be extensively explored in their multi-faceted potentialities, currently representing a research niche. From the technology viewpoint, artificial intelligence paves the way to novel scenarios in which they are increasingly adopted and integrated. A vision of the future of CPS in the context of Homeland Security cannot leave out of consideration the political strategy to find a balance between security technologies and other issues, like privacy, procedures and regulations. The growing interest and relevance in Homeland Security is witnessed by the efforts that are being carried out at all levels to push, sponsor and fund related investments, research and innovation, like the EU’s Programme for European Critical Infrastructure Protection (EPCIP) and the EU Horizon 2020 initiative on Secure Societies. In conclusions, CPS are playing a central role in Homeland Security; therefore, it is nowadays essential to evaluate how emerging paradigms and the most current research developments, like big-data analytics, information fusion, early warning and automatic situation assessment, could help improving the Resilience of CPS. M.D. and Ph.D. students in Computer Science and Engineering who need an additional and up-to-date source providing the relevant state-of-the-art for their project works and research activities on resilient CPS, computer dependability and critical infrastructure security. Industry researchers and engineers from all domains, especially the ones addressing business-critical and safety-critical applications, requiring methodologies, technologies and tools to help them to develop and certify resilient CPS for infrastructure monitoring and control. Il vissuto da sempre affascina. Certo il moderno é bello, l’ultima moda fa sempre tendenza, ma poi quando apriamo il baule dei ricordi, sia esso fisico o immaginario, non possiamo non rimanere incantati, anzi, quasi paralizzati dalla catena di emozioni che proviamo. E così quando prendiamo in mano un disco in vinile é come viaggiare nel tempo, agli anni del boom economico, al tempo in cui le cose erano più semplici, più reali e perché no anche più spensierate. Erano gli anni in cui si scopriva la libertà, di una scampagnata, di una gonna corta, di un bacio ascoltando la musica di un Juke Box. E anche l’ingombro aveva un suo fascino, un 45 giri non si poteva certo stivare nel taschino di una camicia ma non aveva paragone l’esperienza di poggiare correttamente la puntina del giradischi all’inizio della traccia. Ci si sentiva come un direttore d’orchestra che alza le braccia al cielo per dare il via all‘intera orchestra. Forse per questo in questa epoca dominata dalla hi-tech sentiamo così forte il richiamo al vinile, la riscoperta della bellezza di un qualcosa di manuale come estrarre il disco, poggiarlo sul giradischi e posare la puntina all’inizio della traccia. Non si tratta semplicemente di ascoltare la musica ma di esserne parte, di diventare uno degli esecutori della stessa. Ma esecutori quasi nel senso letterario, tanto che chi aveva un minimo di conoscenza di elettronica si dilettava nel costruirsi in casa un apparecchio a valvole in grado di riprodurre i suoni. Erano anni in cui l’inventiva faceva da padroni, complice anche un portafoglio spesso e volentieri quasi vuoto. Altro che transistor, altro che bobine. Erano gli anni delle puntine e delle valvole, di giradischi e di apparecchi valvolari. Ed é interessante vedere come oggi, a decenni di distanza, anni in cui la tecnologia ha fatto passi da gigante giungendo laddove neppure i film di fantascienza dell’epoca erano giunti, ancora non si sia potuto affermare che tali tecnologie sono superate, roba vecchia. Non é solo questione di fascino, ma di soluzioni tecniche, di qualità del suono che tuttora resta di altissimi livelli. Certo forse non saranno versatili come certi apparecchi moderni ma per chi ama l’eccellenza e perché no, l’abbandonarsi a qualche ricordo vissuto o semplicemente raccontato, questi strumenti assumono un rango superiore all’oggetto vintage: diventano cult. Now, majority voting is exactly the concept used in the so called N-modular redundant computer architectures, where different processors, electrically segregated and running diversely developed programs, run in parallel and their results are compared in order to reach an agreement on which output can be considered correct with a certain, quantifiable level of dependability. Are there any differences among reaching a consensus with majority voting in computer systems and with human beings? Well, the answer is yes: in the Web 2.0 era, the assumption that people do not influence each other seems not realistic. In fact, discussions on Facebook and other social networks have been shown to be able to relevantly bias opinions. Furthermore, in politics the answer to important questions is often not merely correct or wrong, but it is related to taking the right (i.e. most saviour) decision considering the context, the expected long term consequences as well as the well-being of the highest number of citizens. However, intuition suggests that web-driven majority voting could still provide some of the advantages mentioned above for computer systems. First of all, let’s say that – on average – people trust computers more than they trust politicians. From an engineering point of view, perhaps the reason lies in the fact that – though coming from different parties – governments are often affected by the so called ‘common mode failures’: they tend to be made up by people sharing the same will to get a ‘return on the investment’ and featuring limited technical skills. The cost for the society of having thousands of them instead of hundreds (or tens, depending on the case) would be overly high. In fact, the costs associated to politicians tend to be quite high, and the general trend is toward reduction. Now, a quite obvious question raises: since we do not trust so much politicians, as citizens shouldn’t we govern our countries and cities by ourselves? After all, in all those years we have raised our average level of education and developed all the enabling technologies. Unfortunately, so far it seems that e-voting is considered mostly a mean to securely substitute the traditional ballot with an electronic one. Not many socio-technical studies address the issue of distributed agreement involving a large number of heterogenous individuals as a standard mechanism to support governments in everyday decision making. Nobody would even think of being governed by shy and solitary geniuses, due to their limited social and communicative skills; however, it is a pity people like them will never play an active role in politics. Depending on their expertise, their opinion could be essential, much more than the ones of less educated individuals. I would say their judgement should be weighted even more. Wouldn’t it be meritocracy at its essence? I think we should go further in developing a better way for involving smart people in politics, allowing them to participate in the decision making process of local authorities and to join extended experts committees on the base of their resume. And all without the stress of elections, commuting or changing jobs. The enabling and secure ICT tools are already there or may be developed quite easily. The still open issue is how to combine and organize those tools in a way to optimise the decision making process in local and central governments, improving the quality of politics and reducing the costs for the citizens. Call it e-democracy, e-government, e-participation or direct democracy, all the related paradigms have something to do with ensemble-based voting in decision making, which is the simplest way for achieving a reliable result out of possibly unreliable sources. Just like in safety-critical computers. After careful evaluation, the International Journal of Critical Computer-Based Systems (IJCCBS) has been finally accepted for inclusion in SCOPUS.